Not every window cleaning company takes as much pride in their work as CCC Window Cleaning does. They’ve built their business around customer service and satisfaction, which is why so much of their business comes from repeat customers. 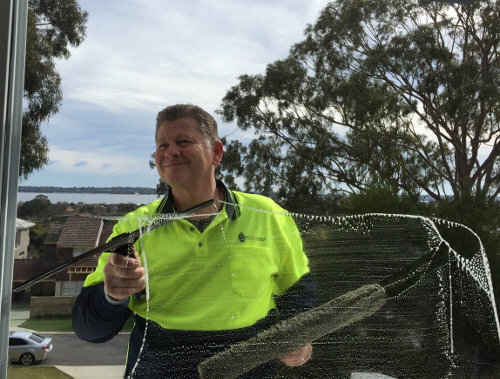 CCC Window Cleaning have been selected as our Perth window cleaning provider due to their professionalism, experience, skills and commitment to customer satisfaction. With state of the art equipment, a fully qualified team with decades of experience, and all the relevant certifications & insurances, CCC Window Cleaning can clean almost any window (no matter how high!). CCC Window Cleaning use the latest technology, an experienced team and the highest quality commercial grade cleaning products to make your windows look cleaner than they’ve ever been before. Not only will your windows be cleaner, but they’ll stay clean for longer too. By cleaning frames and facades as well as your windows, CCC Window Cleaning make sure the dirt isn’t washed back on to your windows when it rains. CCC Window Cleaning aim for 100% customer satisfaction, and it shows! This is a company who are passionate about the work they do, and go the extra mile to impress. It doesn’t matter whether you are a residential customer with a small home or large corporate customer with a high-rise building, you’ll receive the same high-standard of care, service and support. You might think that a superior result and a focus on customer care means CCC Window Cleaning is more expensive than it’s competitors? In-fact their prices are actually very competitive and offer great value for money. How do they offer competitive prices and still provide a superior finish? By using the latest technology, highest quality products and efficient processes they are able to get more work done in less time. Don’t take a chance. It doesn’t cost any more to choose a professional company who are fully insured, licenced and experienced. CCC Window Cleaning continue to invest in the latest training, techniques, equipment, products and technology, and are able to clean almost any window (at any height!). They are proud of their reputation as the ‘glass experts’ and can remove anything off your glass that shouldn’t be there. I engaged CCC to clean our windows at Westcoast BMW in Wangara, inside and out. They made a fantastic job of the windows and were very reasonable in price too. I would like to thank you for the prompt, reliable service that your company provides. As we are in the business of image, presentation is very important. The windows at Absolute Cosmetic Medicine and in my home are always cleaned to an exacting standard. Thank you for the consistent service. 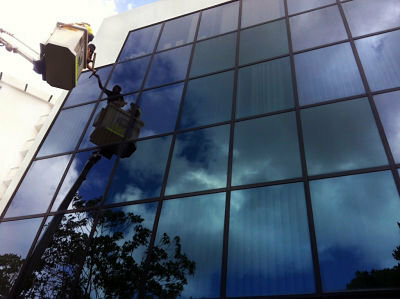 CCC Window Cleaning Perth are high-rise window cleaning specialists. With over 20 years industry experience their team clean a wide variety of multi-level apartment buildings and offices throughout Perth using a range of methods and specialist machinery. The team is experienced, fully insured and qualified in rope access, cherry pickers, scissor lifts, cradle window cleaning for buildings fitted with a B.M.U (Building maintenance unit), and water-fed pole window cleaning. Enhance the view and keep your staff happy! 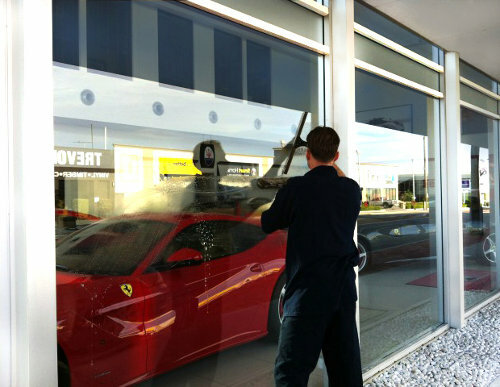 Clean windows can make a real difference to your business. They make a great first impression with your customers, and help keep your staff happy and healthy. 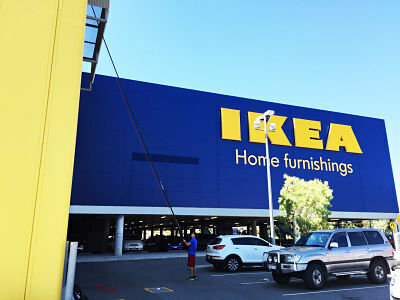 CCC Window Cleaning Perth work with a wide range of commercial businesses including shopping centres, retail shopfronts, office buildings, showrooms, restaurants, schools & hotels. They care about the environment we live in and always use ecologically friendly and bio-degradable window cleaning products whenever possible. Whether you are a shop owner who wants to attract visitors from the street, or manage an office building and want to make a better and more productive workplace, you’ll get the result you are looking for. Let the light in and experience the benefits of crystal clean windows in your home or apartment. You’ll be amazed at the difference after your window cleaning is complete, and you’ll get to enjoy clean windows for weeks to come because the techniques CCC window cleaning use ensure your windows stay clean and clear for longer. Residential window cleaning services include internal / external window cleaning and fly-screen cleaning. What Makes CCC Window Cleaning Stand Out from the Crowd? At TrustedCleaner we aim to find the BEST local business and we carefully check, vet and verify every business to ensure they meet our standards. 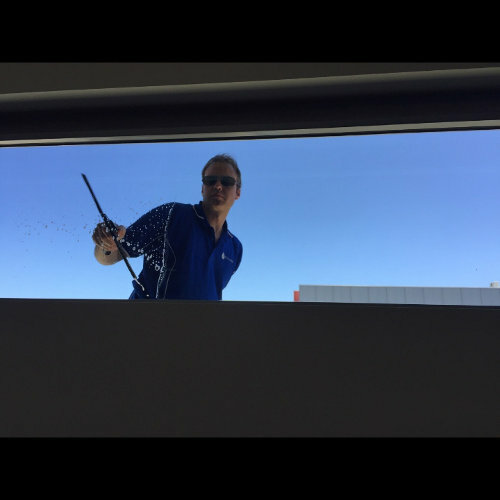 Here are some of the reasons why we think CCC Window Cleaning should be your choice for Perth window cleaning services. 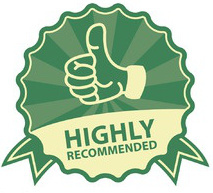 At TrustedCleaner only the best local companies are awarded ‘Approved Business’ status, so when you see a business displaying our seal of approval you know your dealing with a trustworthy, reliable and professional company. We check licenses, insurance certificates and conduct background checks to make sure we only represent the best local businesses in your area. Read our full verification process and customer charter to find out more. At TrustedCleaner we find the top local companies so you can keep your home or office clean without any hassles, unexpected costs or problems. Each of the busineses below has been checked and verified.